Last month we were invited to partner with WizKidz Science & Technology Centers on a new Aviator Club for girls. My dream for my non-profit has always been to expose girls and women to amazing new things so this was right up my alley! We were invited to a local airshow to kick things off a few weeks ago. I decided to bring my two daughters to this first event. My 16 year old was NOT thrilled about the whole thing. I asked her if she ever thought of flying a plane or becoming a pilot and she adamantly said, NO! Flying an airplane never really crossed their minds, I'm sure. I had to drag them both to the event! We arrived at the airport where the event was being held. There we met a female pilot Captain Judy Rice who was a school teacher who decided that she wanted to learn to fly in her 40s. She got her pilots license and launched a mission to fly around the world encouraging students about the importance of education. She was on one of her stops and we were able to participate in a special radio interview with her. What a great start to the day! My Daughters Enjoying the Airshow! Captain Kennedy! After the radio interview, we made our way outside to check out the airshow. We found a spot and the show began. It was so amazing seeing all the planes and pilots in action. They took off in the sky some solo and others in perfect formation! I watched my girls totally fascinated by the planes. The plan was to only stay for a few hours however they begged me to stay for the entire show. At one point my oldest daughter leaned over gave me a hug and thanked me for making her come. What a special mom moment!!! That next day I found Kennedy busy in her room playing with her dolls. I had forgotten that we bought her a Barbie airplane last year for Christmas. She had dragged it out of her closet and was busy getting everyone ready for a flight across the world. She told me that typically Barbie is a flight attendant, but today she would be flying the plane instead! She really admired the female pilots that we saw the day before and it was so amazing seeing her playtime change in this way. Captain Nikki was now in charge! I watched Kennedy busy at work making sure everything was perfect for the flight. They were finally ready for takeoff. Captain Nikki Ready For Take Off! The New Flight Attendant Busy At Work Serving The Passengers! During the flight the plane was attacked by Godzilla aka Teddy our family dog! karate chops and kicks finally fighting off Godzilla! Poor Teddy! I saw this great quote the other day "I'm convinced everything starts with exposure. You cannot be what you do not see" - TD Jakes. It truly sums up the moment that I had with my daughters at the airshow. To be honest I had never thought of flying a plane or even encouraging my daughters to fly until I was introduced to this project. 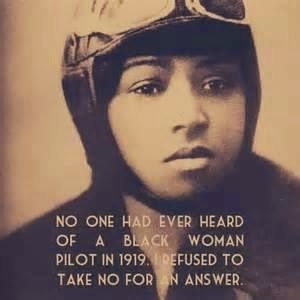 I have always admired Bessie Coleman, the first African American female pilot. I could not imagine having the courage to learn to fly being a minority and a female during that time. 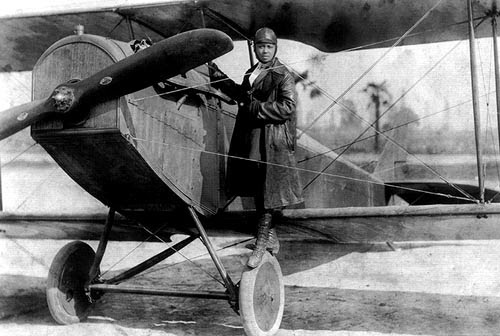 I am honored to partner on this new project named after this great female pilot - The Bessie Coleman Aviators Club for Girls. I hope it will inspire and expose girls in my community to aviation and a whole new world of possibilities/careers. It surely inspired my daughters! So many great projects going on for our agency. Each time I peek into Kennedy's world I learn more and more about my daughters and myself as a mom. I never really realized how much children model what they see during their playtime. I encourage all of our parents out there to take a peek into your children's playtime. I have really enjoyed setting aside time to spend with my girls to just play and explore new things. I am a little scared but excited to learn a few things about aviation myself. 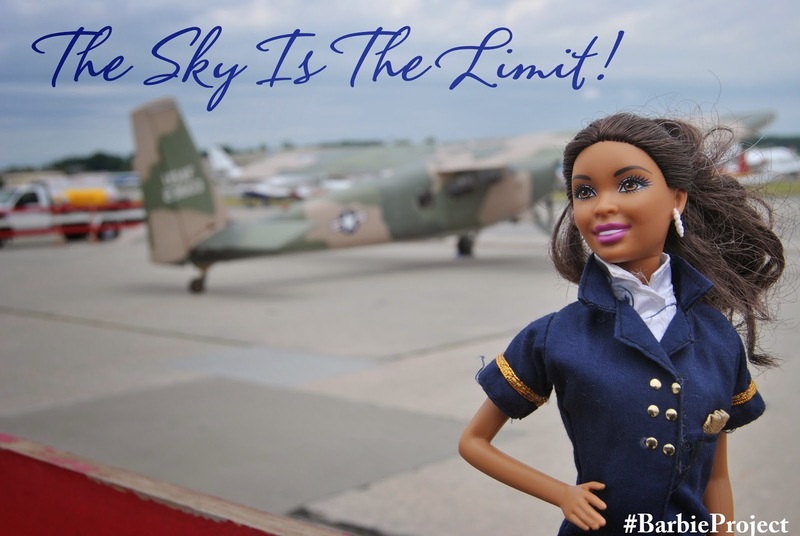 Maybe Captain Nikki and Barbie will join us up in the sky! Stay Tuned Please be sure to continue to follow our journey on http://www.barbieproject.com/ and on our social networks #barbieproject, Facebook and Twitter. Visit http://www.empowerherinc.com/ to learn more about our agency and support our mission! Remember the sky is the limit!